Get your entries in and get them in before Thursday 14th June 5pm! 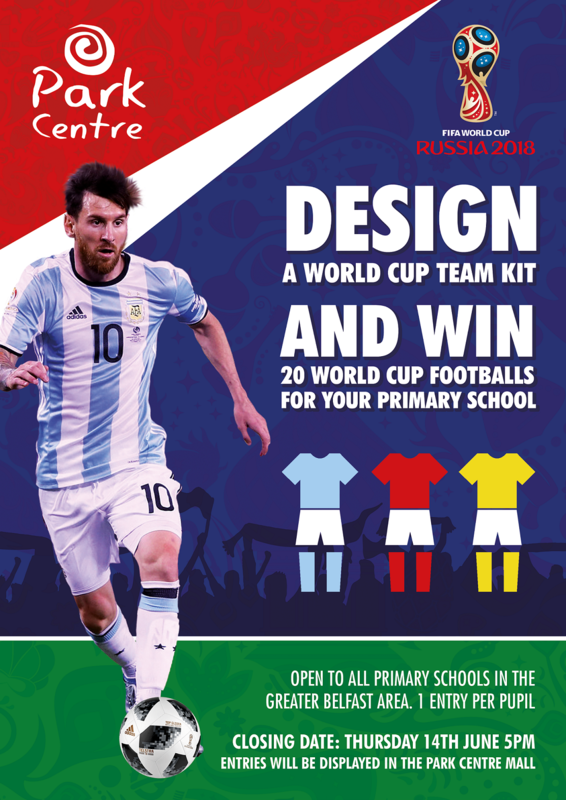 You could be in with a chance of winning 20 World Cup footballs for your primary school! Simply download the entry form below and get working on a fab kit design and then return to us. The entries will also be displayed in the Park Centre Mall so all our customers can see your fantastic work as well. Don’t hang about! click the link below and start designing! Go!